From providing the exterior glazing to one of Western Canada’s most elegant buildings, the crescent shaped Bow Building in Calgary, to simple or complex renovations and retrofits of aging buildings to daily service or emergency calls for our long term clients, Alberta Glass brings experience in managing cost, performance and completing the project on time and on budget. 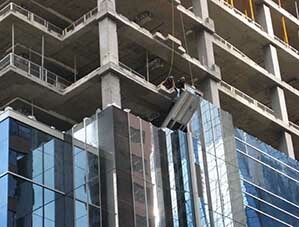 Working with Alberta Glass means getting it right on the building envelope. 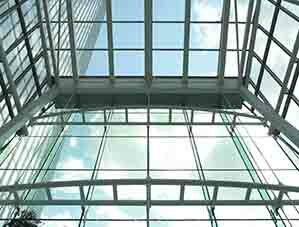 Alberta Glass, based in Calgary, is Western Canada’s leading glass and glazing service contractor specializing in the entire lifecycle of a building’s glazing needs including Curtain Wall, Storefronts & Entrances, Interiors, Services & Maintenance, Renovation and Green Building for Office, Retail, Medical, Educational, Airport, Government and Hospitality environments. Over our eighteen year history, we have participated in building some of Alberta’s most prominent buildings including the Bow Building and Eighth Avenue Place. We can provide design assist along with accurate and detailed estimating for all Commercial and Institutional projects. For more information please call or view some of our projects.